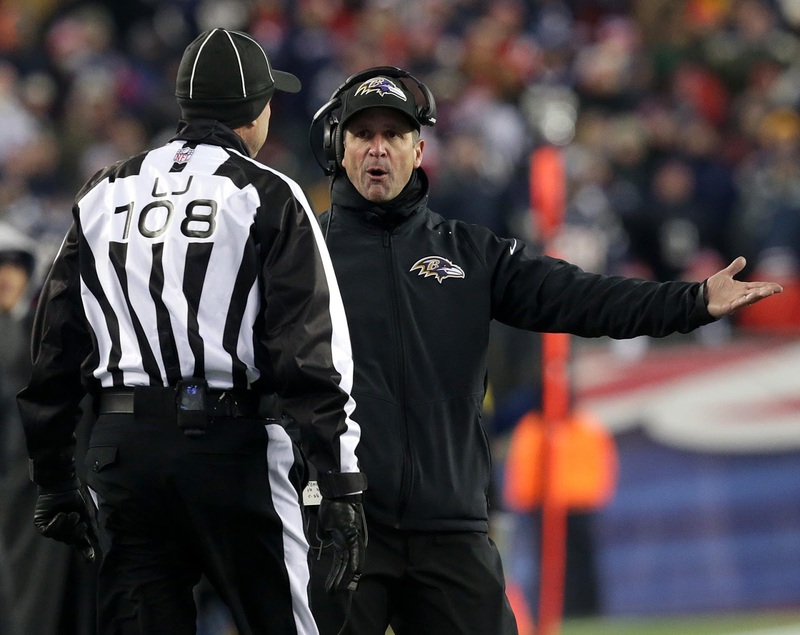 During the divisional round of the playoffs last year, the Patriots unveiled a new formation that got Ravens coach John Harbaugh so upset he got a 15 yard unsportsmanlike penalty when he ran out onto the field to protest it. The formation, which was legal, prompted the Ravens to complain to the NFL in the offseason and get the formation outlawed. At least using a player that has an eligible number that declares himself ineligible and lines up outside of the core of the offense. Fast forward to Sunday's game against the Oakland Raiders. The Ravens scored a touchdown with an oddly familiar play. With the ball on the 26 yard line the Ravens lined up with an offensive lineman lined up in the slot. That left the Tight End uncovered for the 26 yard touchdown. While the play did fall into the realms of legality, the fact that Ravens had the balls to even run the play after throwing such a fit over it is preposterous! 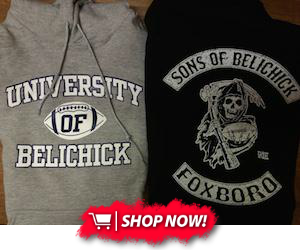 Since John Harbaugh obviously can't beat the Patriots, he might as well join them.